From 23 to 25 May, 2016, 55 wine regulators, laboratory scientists and wine industry representatives from six of the eight World Wine Trade Group (WWTG) countries and 11 of the 21 Asia Pacific Economic Cooperation (APEC) economies participated in the Summit meeting in San Luis Obispo, California. The Summit is a collaborative group of international government and industry who have an understanding of the technical issues surrounding wine production and trade. Its purpose is to share best practices, and exchange ideas and experiences while fostering an environment in which to discuss sound science in wine regulation and enforcement, and trade issues of a technical or scientific nature. Participants from Australia, Argentina, Canada, Chile, China, Italy, Georgia, Indonesia, Japan, Malaysia, Peru, Thailand, Viet Nam and the U.S. discussed current technical issues impacting international trade, testing and methodologies and regulations related to wine. For the first time, the Summit partnered with the APEC Wine Regulatory Forum (WRF), which proved to be a most useful collaboration. 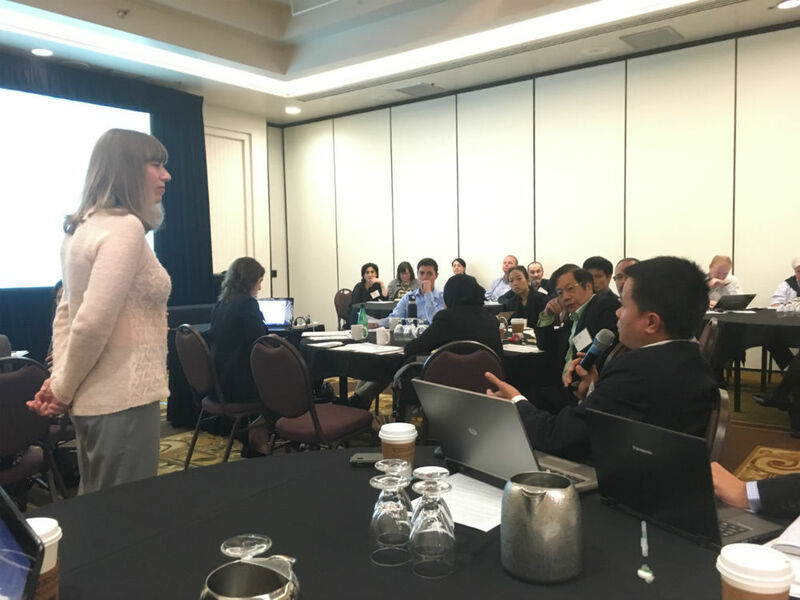 On May 23, the WRF's Working Group on Enhanced Risk Controls conducted a training workshop for laboratory managers, covering issues related to quality and methods in laboratories. The training reviewed the underlying chemistries, methodologies, and best practice for the analysis of a number of core parameters used for the assessment of wine: sugars in wine, titratable acidity, alcohol and total sulfur dioxide. A review of the recent WWTG paper, "Microbiologically, Wine Is a Low Food Safety Risk Consumer Product;"
A tour of two local small and medium sized winemaking facilities to provide hands-on technical assistance that will enhance the capacity and knowledge of regulators and laboratory managers and increase their ability to efficiently ensure food safety. "Measurement Uncertainty" (Principle 11), by demonstrating how analytical results should be interpreted in the light of such uncertainty.